ATTN bloggers! 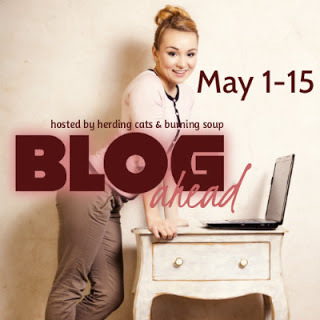 If you're wanting to schedule more posts in advance for your blog, Herding Cats & Burning Soup has a Blog Ahead challenge that starts May 1st! Click HERE to check it out and join if you want. I do these every time they come around (twice a year?) and love it! Oh I can't believe that April is almost over. Gone by so quickly. I did enjoy Dark Skye, pretty intense at times. I know, right? It flew by! April FLEW by and yeah it kicked my booty too. lol I need to do a lot of blog catch up now. Holy cow am I thankful for blog ahead right now! Haha there seems to be a bit of a color theme going on with them @_@ Weird!